My Child, Our Air is a 30’ high by 70’ wide mural located in the Georgetown neighborhood of Seattle. The mural depicts the artist’s young son, already a victim of vehicle-caused air pollution. 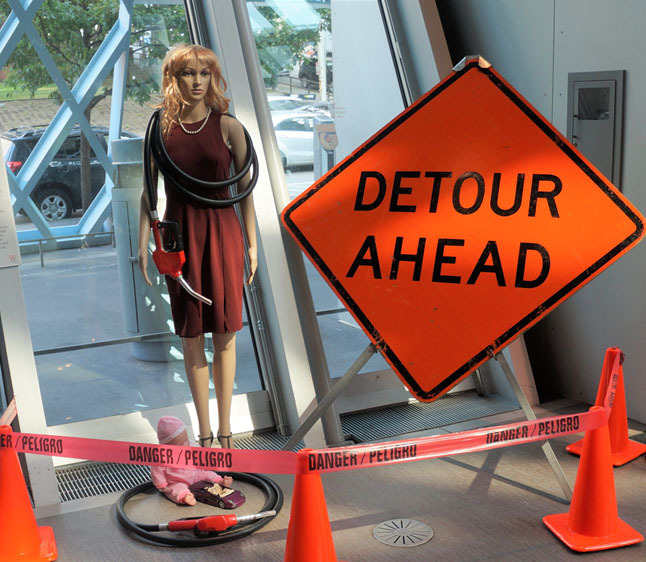 Gasoline Madonna is a mixed-media sculpture. The heavy gasoline hose worn by the Madonna signifies the invisible weight of gasoline that we carry with us. The gas trap is a clear inflatable bubble connected to the tailpipe of a car. When the performance starts, the trap fills with smoke. The No Gasoline concert required all performers and concert goers to arrive without use of gasoline. Musicians played to a projection about gasoline. The concert was a statement to cultural institutions about the possibilities for doing no-gasoline events. 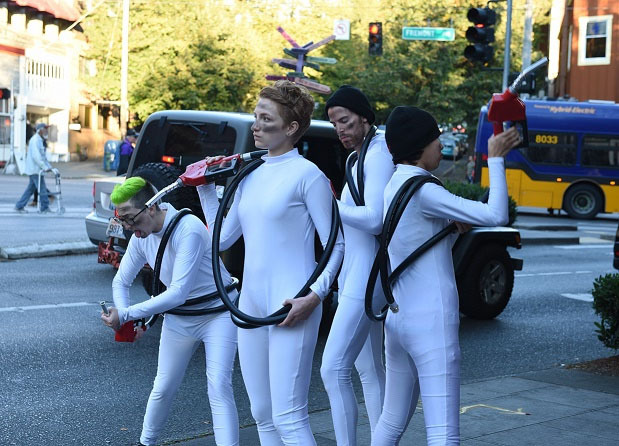 This performance piece featured hazmat-suit clad actors checking for and protecting themselves from contamination around a gas station. The “Bad Habits” video was shot inside a working gasoline station. The video culminates with the actors “breaking up” with gasoline.